The MAGIC STICK x Nike Air Force 1 sneaks first surfaced during the Paris Fashion Week and since then more details of the sneaker have now emerged. 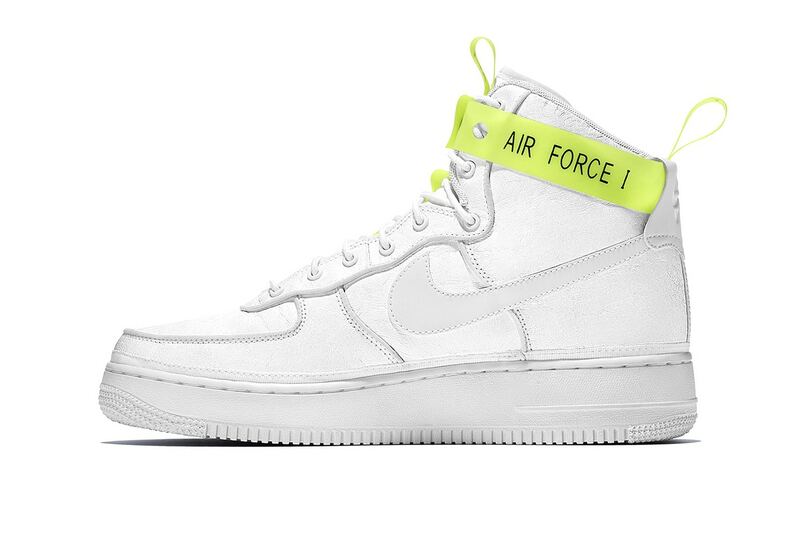 The show carries a neon yellow Air Force 1 ankle strap, which is designed to look like VIP wristbands given out at clubs. The strap even features a snap-hole fastening system and other features of the sneaker include an all-white suede and leather construction, as well as reflective yellow detailing on the tongue and heel tab. The sneaker set to drop via Nike stores and the NikeLab web store on February 10 and will hit retail stores a day later.